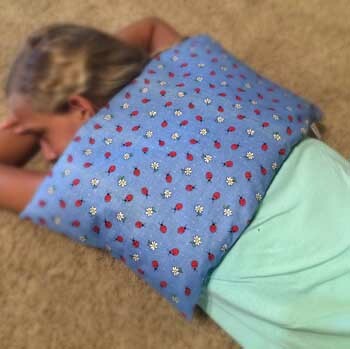 I Love my Corn Bag Warmer - It helps with aches & Pains and makes the Cold Weather Tolerable! Our Corn Bag Warmers can be heated in the microwave or put in the freezer - simply the best heating pads & cold packs for sale. Since they are all natural, reusable, and don't require electric cords, you can take them in the car or while waiting for the school bus on those chilly mornings! Many people suffer from back, neck or shoulder pain from sitting in front of the computer too much. If you suffer from this, please try our therapeutic microwave heating pads. Often recommended for Physical Therapy by Therapists and Chiropractors. The Deep Warmth and Moist Heat Provide Lasting Relief - great for chilly Friday night football games! Warming up the kids when they come in from the cold (sledding, building snowmen, or just having fun outside). Many colleges and universities don't allow electric blankets or space heaters because of the fire risk they pose. Our Corn Bag Warmers are the perfect solution to keep you warm in your dorm room. Just pop your heating pad in the microwave and a couple minutes later you have solved the problem. No more cold feet and they make a great bed warmer!! 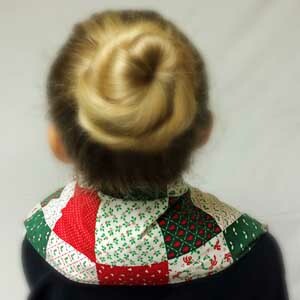 Everyone Loves our Corn Bag Warmers - the Best Neck, Back, and Shoulder Heating Pad! !